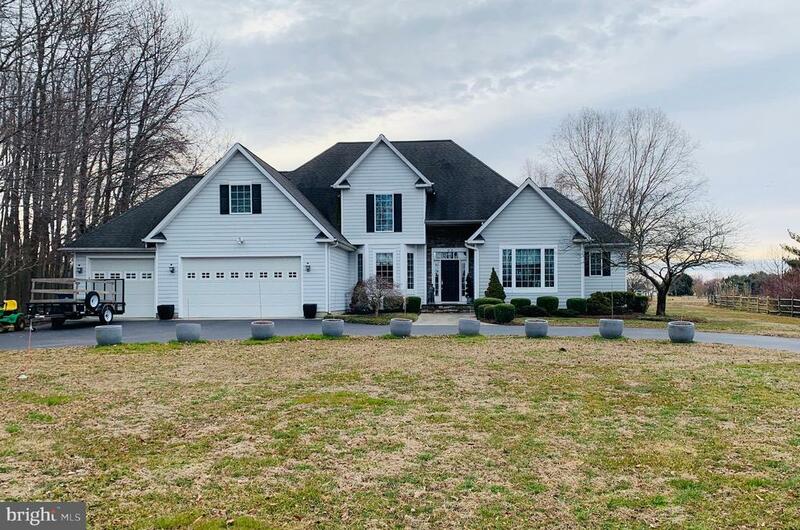 All Grasonville homes currently listed for sale in Grasonville as of 04/21/2019 are shown below. You can change the search criteria at any time by pressing the 'Change Search' button below. If you have any questions or you would like more information about any Grasonville homes for sale or other Grasonville real estate, please contact us and one of our knowledgeable Grasonville REALTORS® would be pleased to assist you. "*PRICED BELOW APPRAISED VALUE** Enjoy stunning views of Greenwood Creek from this 3+ac private waterfront peninsula. 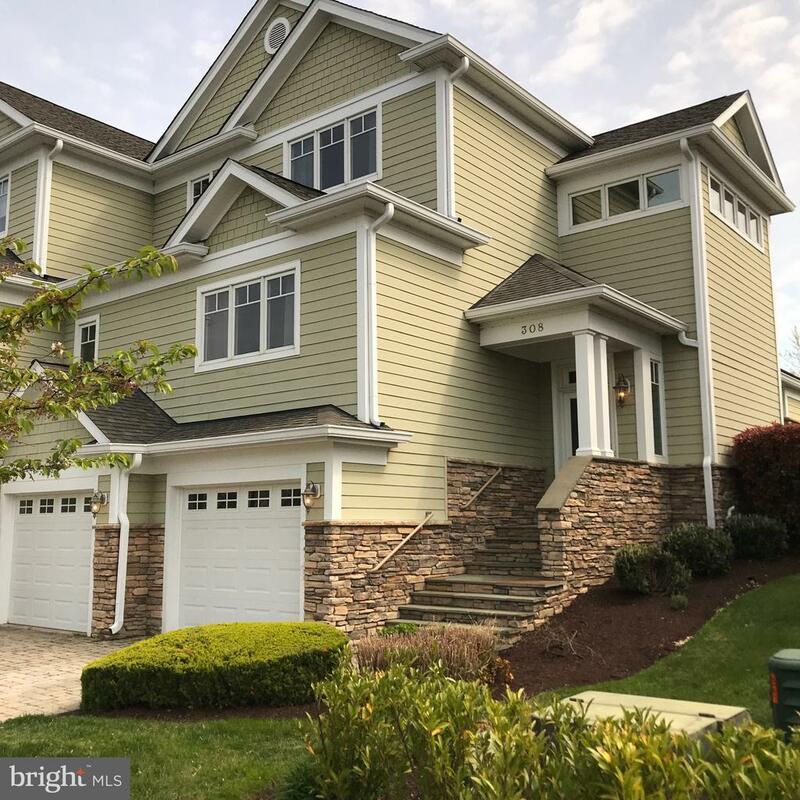 Built, owned and lovingly cared for by three generations of the same family, this 5 bedroom, 4 full/2 half bath home offers 4520sqft of spacious, open concept living featuring 9~ ceilings, hardwood floors, custom molding and gas fireplaces. The main level offers a versatile layout inclusive of a master suite, newly renovated open chef~s kitchen with granite countertops and stainless-steel appliances, custom fireplace, breakfast room and sun-room with wrap-around windows overlooking the water. The second floor features 2 large bedrooms with a shared bath, a second master suite with full bath, a large veranda and a dressing room with a custom closet. A separate au pair/in-law suite offers a private entrance, full kitchen, bedroom with walk-in closet and 1 1/2 baths. The two-car garage opens on both sides ~ perfect for a golf cart or boat. The lot features old-growth trees (over 250 years old), a private deep-water, pier and 3+ boat slips. The adjacent Greenwood Creek Farm adopted restrictions on development ensuring the serenity and privacy of this property. A short golf-cart ride takes you to Prospect Bay Country Club which boasts an 18-hole golf course, driving range, pool, playground, tennis courts and dining. Just 30 minutes to Annapolis; 1 hour to Washington, DC and Baltimore." "Extraordinary only begins to describe this wonderful property. 3 finished floors of magnificence! Fabulous gourmet kitchen, lovely large screened porch, lap pool, heated, w/ remote controlled shades and roof, high ceilings, custom cabinets, gas heat & cooking, whole house generator, 1st floor master w/ his and hers baths and his & hers walk-in closets. Sun drenched great room w/ gas fireplace w/ custom 18' floor to ceiling facade, wide planked Walnut flooring throughout most of the main floor, 1st floor library & formal dining room. Silhouette blinds throughout most of the home (most motorized), welcoming 8' stained glass front doors, 3-4 more guest bedrooms, theater room, upper level porches and balcony, finished storage space, allowing for even more finished area, attached shed & extensive landscaping, lawn & garden sprinkler systems, upscale garage space & more! THE VIEWS ARE FANTASTIC! There are water views from the front and the back of the house. Located on a point, you can see out to the bay and river. You have your own private beach and living shoreline, as well as a deeded boat slip and jet ski lift. Too many fine features to list!!! Come see for yourself. Take the virtual tour on line." "Exceptional waterfront home in Prospect Bay w/heated pool, pier & awesome sunsets. Gorgeous water views throughout. Inviting floor plan. Many upgrades. Gourmet kitchen w/island is open to family room. Generous living areas. Large master suite w/Jacuzzi tub & waterside deck. Lots of storage space. 1st floor bedroom currently office. 2 car garage. 75~ pier w/ 2 jet ski & 2 boat lifts. 8000lbs each. 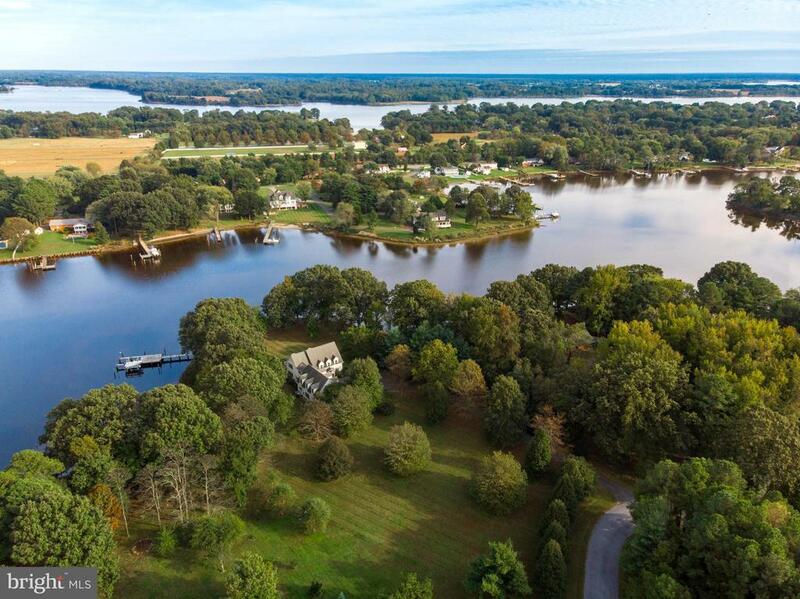 Country Club amenities: golf, tennis ct, boat ramp and more." "Broad water views/no flood insurance required. 150' mega stone riprap shoreline protection. Magnificent waterfront in Prospect Bay Golf & Country Club provides 5836' of living space. Elegant staircase, tray ceilings & archways. Gourmet kitchen w/heated floor, cherry cabinets & granite. Grande master suite w/fireplace & spacious master bath. Master suite bathroom boasts large Jacuzzi tub and very large 2 person shower with steam room. Main level office would be 5th bedroom. Perfect 3 car garage. Elevated Pier w/ boat lift 2 jet ski lifts, electric & water. Gorgeous sunsets and broad water views. 3 enclave/bump out roofs recently renovated w/solid copper roofs." "Picturesque waterfront estate on Greenwood Creek. 250' of waterfront. 70' pier with 2 electric boat lifts. 4 stall barn with tack room. 2 master BR suites. Gourmet kitchen. Home office. Beautiful views from windowed living space. Gas fireplace. Additional 6th BR/study. Custom moldings. 3 car garage with 600 sq. ft. rec room. Wrap around porch. Waterside deck. 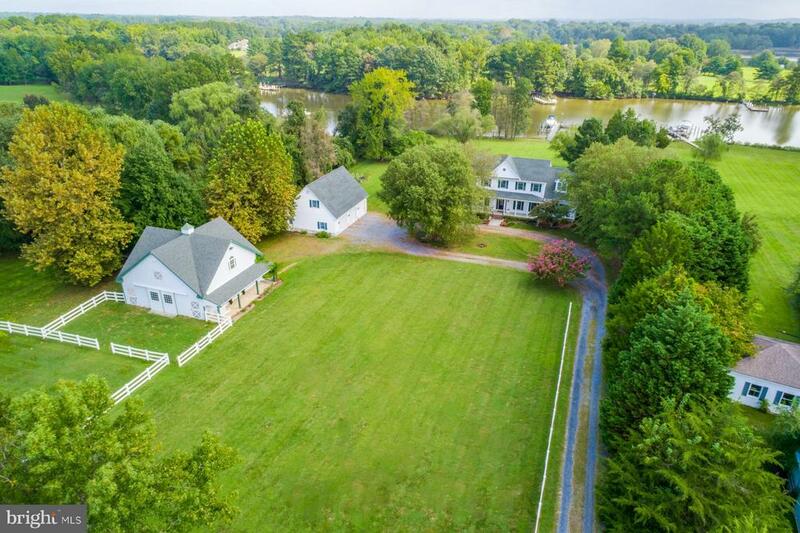 Enjoy 5 acres of privacy & serenity." "Charming waterfront property in Prospect Bay Golf and Country Club was designed around incredible water views. Coastal cottage style with open floor plan provides over 3900' of living space. Gorgeous hardwood floors and architecture. Well appointed kitchen with island and lots of cabinets and counter space. Spacious family room and first floor Master suite. Main level laundry room plus bonus storage room. Waterside 2nd level sun room. Waterside deck perfect for entertaining. Pier, lift and rip rapped shoreline. 2 Car Garage and driveway with overflow parking pad. Broad water views and Perfect sunsets. Please look at all photos. Seller has supplied many gorgeous sunset photos..."
"Offers secluded deep water and a view of sunsets that will take your breath away! This is a spacious house with many possibilities. Offers private accommodations for your out of town guests, an au-pair or in-law suite, or for an extended family, this is it! So many possibilities! The lower level is accessible through a private entrance at ground level from the waterside of house and has a kitchen, bedroom, bathroom and living room. Next level up, between the in-law suite and main level is the FR with half bath, a wood stove, wet bar and sliding glass doors leading to waterside of yard. The main level and upper level can accommodate another whole family with its Eat-in Kitchen, Formal DR (with gas or wood fireplace) & LR & half bath, and additional space in the 3 Seasons room off the gourmet kitchen. The Upper level has 4BR, 2 Baths. This house offers lots of storage and has been well cared for. The detached garage is perfect for the handyman or the car enthusiast: its heated/cooled, has a half bath, and a race-car type finished floor...trophies excluded, but the mini refrig stays. Summertime offers everything your heart desires with Inground Gunite heated poolw/diving board into about 10' deep water, brick patio w/hot tub, trex deck, waterside deck and pier w/2 slips. One slip holds 40' boat w/18K lb lift, the 2nd slip holds 18' boat w/8K lb lift, water and electric at pier. The MLW is 5' so can handle both power boats and sail boats. This set up is perfect for fishing, crabbing, boating, swimming, cookouts, or just sitting under a shade tree, listening to the soothing sounds of the waterfall, soaking up all the peace and calm. There are 3 heat pumps (1 for house, 1 for pool and 1 for garage). And if there is HORSE enthusiast in the family, there is a barn with storage, and Horses ARE allowed! For GOLF & TENNIS enthusiasts, there is 18 hole PGA course and tennis courts available at Prospect Bay Country Club for additional monthly fees. Just in time for you to e"
"A Great Value Doesn't Last Long! 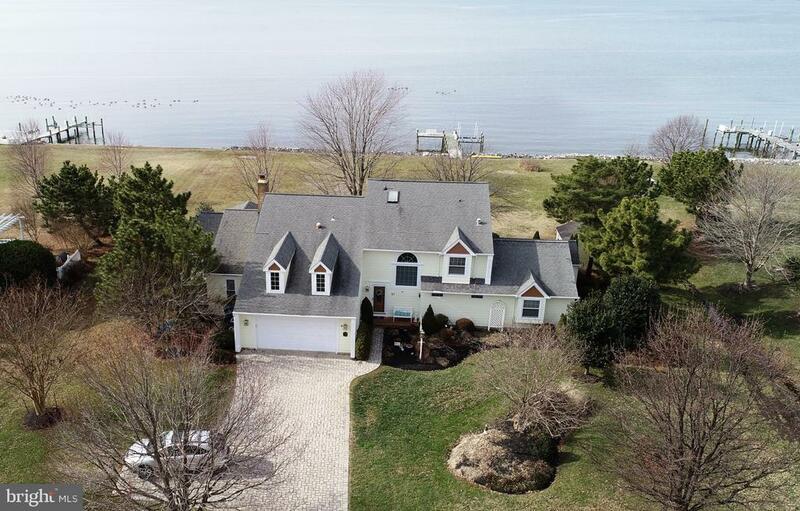 Spacious waterfront Colonial in Prospect Bay. Enjoy the broad water views and gorgeous sunsets. The fabulous kitchen has large center island and breakfast area. Separate dining room, living room, 2 family rooms, and main level office make this a great home for work and play. Tons of natural light from the skylights and in the family room and the wall of windows. An oversized master suit on the main level has a large walk-in closet and master bath with jacuzzi tub, stand up shower, and dual vanities, as well as, a sitting area that offers a bay view. Prospect Bay Golf and Country Club amenities include golf, pool, tennis, boat ramp, club house & restaurant." "Prospect Bay. Protected waterfront on tranquil Greenwood Creek w/4' MLW, 5 minutes to the open waters of Eastern Bay. One of the largest lots in Prospect Bay at nearly 1.21 acre. Located in a quiet cul de sac. Siding recently updated to Hardi-Plank, adding to the low maintenance features of this home. 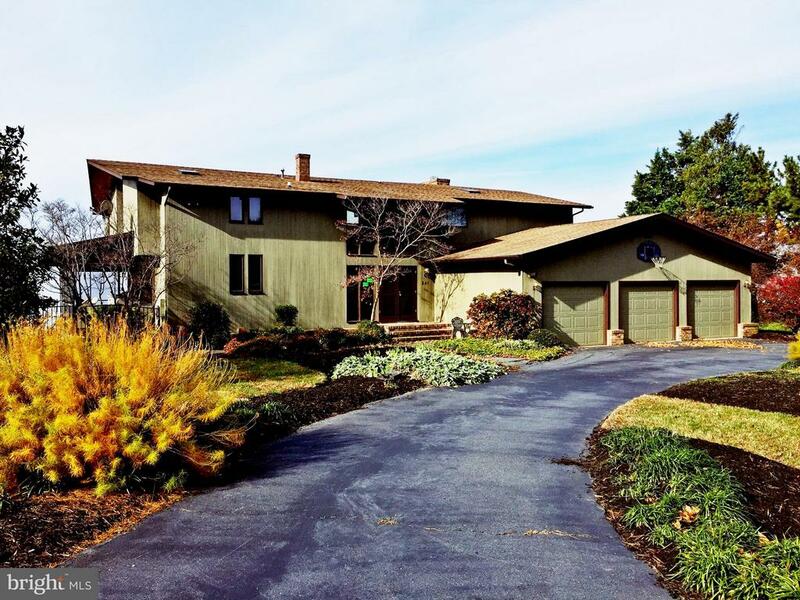 Spacious 5 bedroom, 4.5 baths w/main level master suite overlooking Greenwood Creek. Water views from most rooms. Gorgeous gourmet kitchen w/ stainless steel appliances. Separate dining room. Recently renovated sun room and massive 28 x 22 family/game room. Extend living w/ waterside hardscaped patio & fire pit. A covered breezeway leads to the over-sized 3 car garage. Circular driveway. Pier w/lift & 4' MLW. Short pleasant boat ride to St. Michael's and restaurants of Kent Narrows. Quick bike ride or golf cart ride to golf course, pool, club house, tennis boat ramp and more. Prospect Bay, It~s a lifestyle." "Contemporary waterfront home offers brand new rip rap, pier, boat lift and the pool has just been totally re-tiled. Home offers 4 bedrooms, 3 full baths and walls of glass overlooking Prospect Bay. Needs some updating but house is in great shape. 2 Story living room with fireplace offers 2 stories of glass overlooking the water for fabulous sunsets! Master bath has a whirlpool bath, generous walk in shower, as well as a built in sauna to relax in! 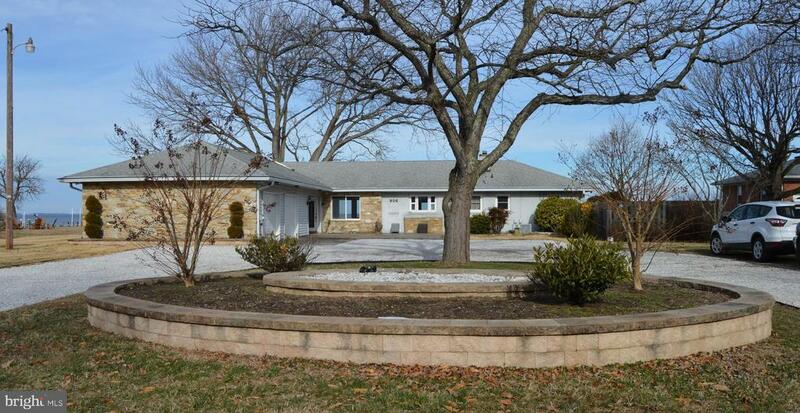 3 car garage, fenced pool with waterfall and huge screen porch." "Do you love the bay, boating, golf, crabbing, swimming, relaxing in the sun? 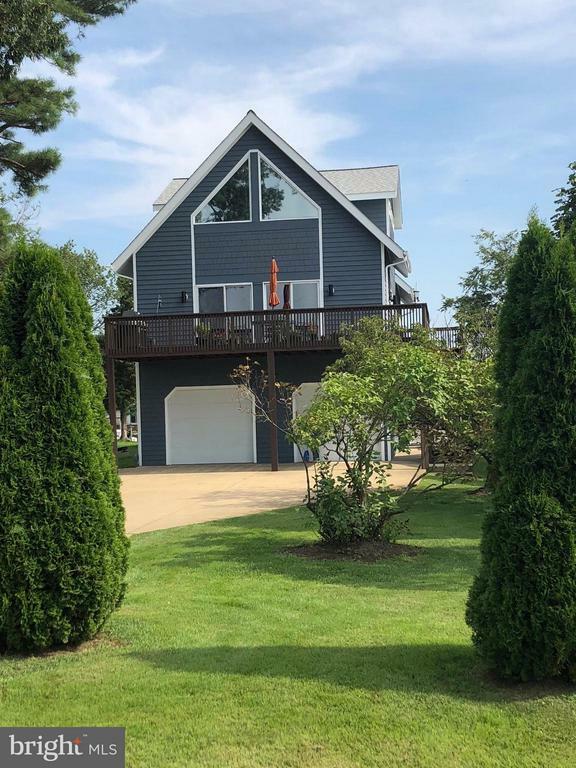 Don't miss this 1.3 acre waterfront home in Prospect Bay, a peaceful country club community with an 18-hole golf course, private marina, club house, pool, tennis and more. Bright, open living spaces with easy flow. Wonderful views of the water from most rooms. Gleaming hardwood floors. Many upgrades. Separate dining room. Spacious master suite with expansive water view. Protected water with 4' depth at the end of your private pier on Greenwood Creek, opening to the Eastern Bay. Great for boating, fishing, crabbing. Family golf membership included in monthly HOA fee. Easy drive to points east and west. Call today for Eastern shore living at its best!" "Located in Prospect Bay. 3493 sqft waterfront home on protected waters of Greenwood Creek has 4' MLW w/pier. SIX LARGE BEDROOMS!! Open floor plan w/large family room with gorgeous stacked stone fireplace. Separate dining room and main level large master suite with open hearth fireplace. 2 more bedrooms on main level and 3 more on 2nd level. Total 3 full baths, sky lights, screened porch & 2 car garage. Ownership provides membership in the Prospect Bay Golf and Country Club. Amenities include: golf, pool, tennis, boat ramp, club house & restaurant. It~s a lifestyle." 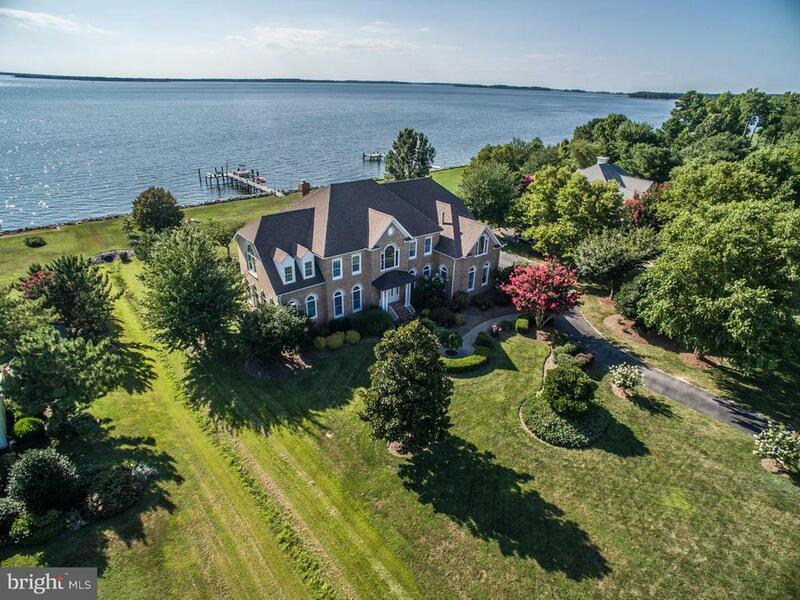 "Gorgeous 3000 total sq ft End TH w/2 car garage in gated community on The Pointe with expansive views of the Chester River. Includes lower level media room, conditioned crawl space, gleaming hardwoods, granite counters, SS appliances, Bookhaven cabinets and upgrades throughout! One of only a handful of units with large no maintenance entertaining deck. Designed to maximize views, entertain easily and enjoy low maintenance living. 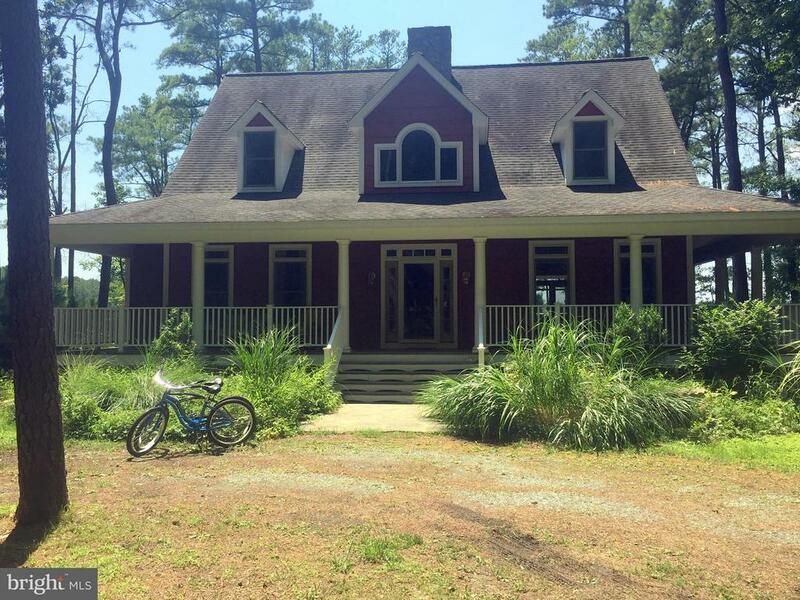 Steps away from marinas, restaurants, fitness center and the Cross Island Trail." 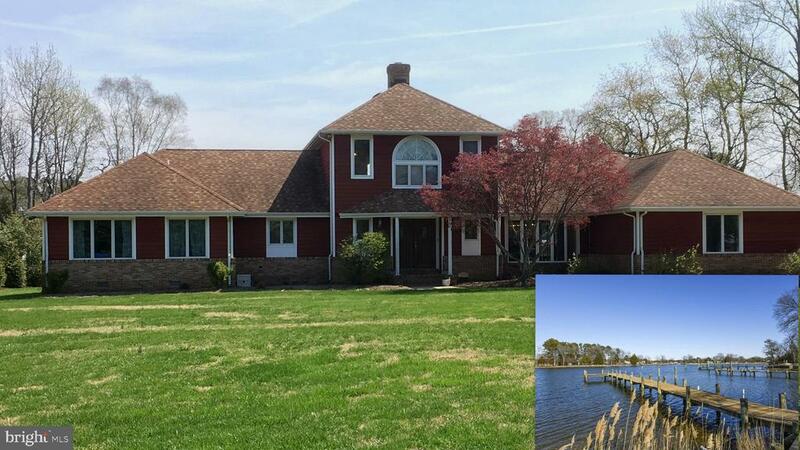 "Beautiful 3000 sq ft End TH on The Point of the peninsula overlooking the Chester River! Gated Community w/ water on both sides of you! Finishes include hardwoods, Granite, Brookhaven cabinets, SS appliances & a lot more! A spacious open floor plan w/ architectural style windows to maximize those fabulous water views! 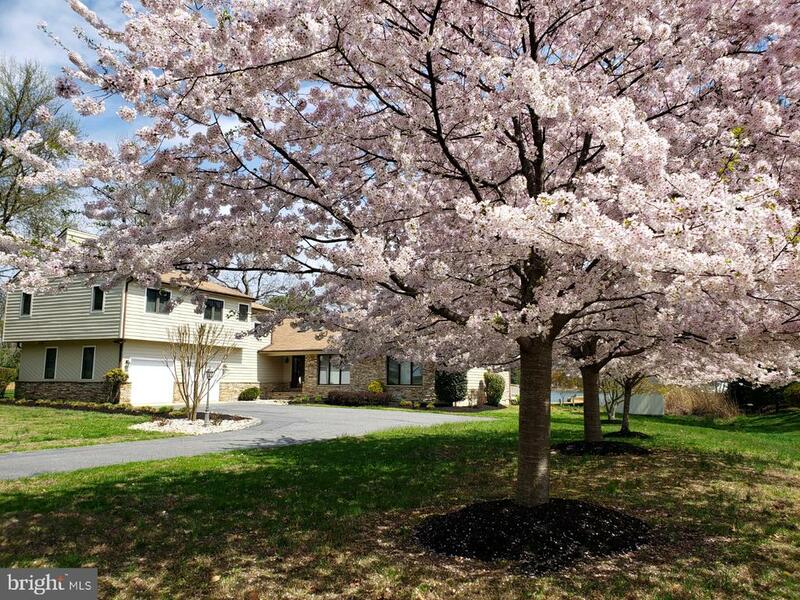 Around the corner from marinas, restaurants, Fitness Club, trails." 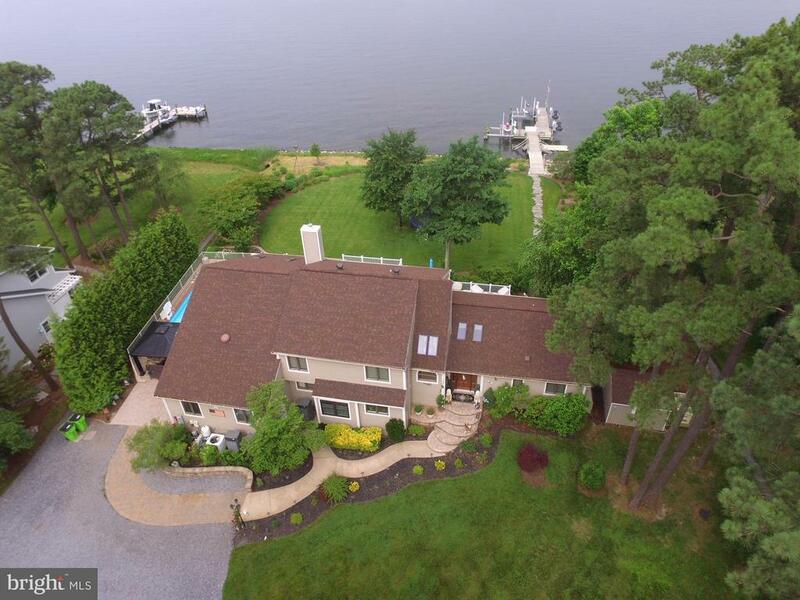 "TWO Million dollar view without the price; enjoy tremendous views of the Chester River as it joins the Chesapeake Bay. Breathtaking sunsets; have fun canoeing, kayaking, or in your boat or yacht. Electric winch, boat ramp; 100 feet of waterfront with rip rap and a lovely promenade to sunbathe or entertain at water's edge. Make this your family retreat or year-round living. 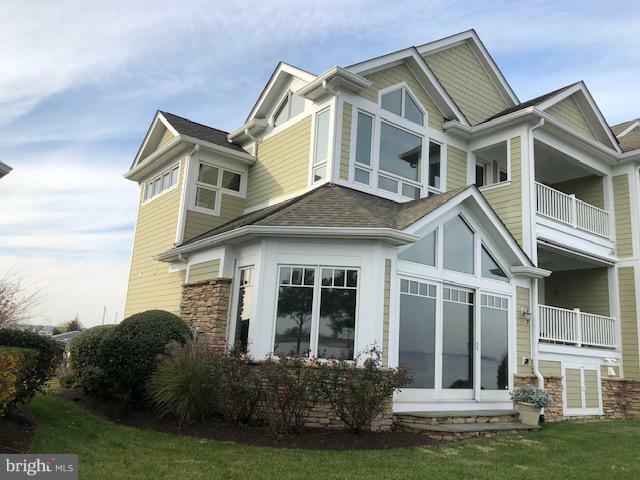 Hybrid heat pump; sun room and sidewalk to promenade; large great room with lots of windows for viewing the River/Bay and entertaining large groups. Walk-in shower (wheelchair accessible); extra-large two-car garage with room for work area, mowers, and larger toys. House is on two lots that P&Z said could be reversed back to two individual lots. Ready to move into--start enjoying your own waterfront retreat/home with all this property has to offer. Community dock with slips to rent. Call agent to schedule your showing." "Welcome To The Beautiful Waterfront Gated Neighborhood Community Of Narrows Pointe. Wake Up To Some Of The Best Sunrises. Two Balcony To Enjoy The View. Just Steps Into The Home You Will See The Water Views From The Front Door. The Home Has Brazilian Cherry Floors And Railings. You Will Love The Gourmet Kitchen With All New Double Oven, Microwave, Dishwasher, Refrigerator And Garbage Disposal. Plus An Oversized Pantry. Bonus Room On Lower Level That Can Be Used For A Guest Room , Media Room Or Home Office. Enjoy Your Slate Patio For Entertaining That Is So Private To Enjoy The Views. All Windows Are Tinted To Keep The Sun Out In Those Warm Summer Days. The Grounds Are Taken Care Of In This Park Like Setting Of Narrows Pointe And It Shows. No Yard Work For The Homeowner!!! So Much Storage In Home. Two Car Garage And Outdoor Storage For Patio. Must See Home. Call Today To See This Model Like Home Today!! Anna Montgomery 410 913 7247"
"TO BE BUILT! Build your dream home in the tranquil 16-home community of Homeport on Winchester Creek! The Lexington II model features a first floor owner's suite with luxurious walk in closet and open main level. Customize this Caruso home or choose from many other floor plans. List price includes base home, lot finishing, and lot price. **note: house photos shown may display additional builder options. This lot is adjacent to the community pier and comes with a deeded boat slip. See the 140' of water frontage in the virtual tour video! Floor plans and community documents available. 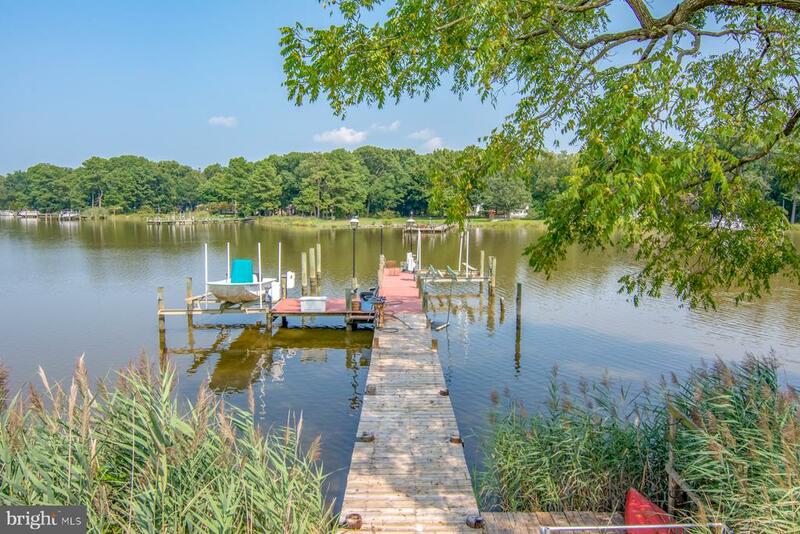 Great location close to Annapolis and Easton with a peaceful waterfront lifestyle and easy access to the Chesapeake Bay." "Fabulous WATER FRONT VIEWS from this beautiful 3000 sq ft End Unit Town home! This home has water on both sides of the house giving you beautiful SUNRISES & SUNSETS! It is one of the few wider homes in the community that the 2 waterside decks are 4' wider. Also has a remote controlled screen, because some days you may want a screened in deck, some days you don't! The interior has gleaming hardwood floors, a floor to ceiling stone fireplace, architectural windows to maximize those incredible views! Light Brookhaven cabinets with granite counters, Kitchen Aid SS appliances, Lots of cabinet and counter space plus a large pantry. It has 3 bedrooms all with private full baths plus a loft/home office space, and a large media room! Water Views are incredible from everywhere ! It also has an attached 2 car garage! 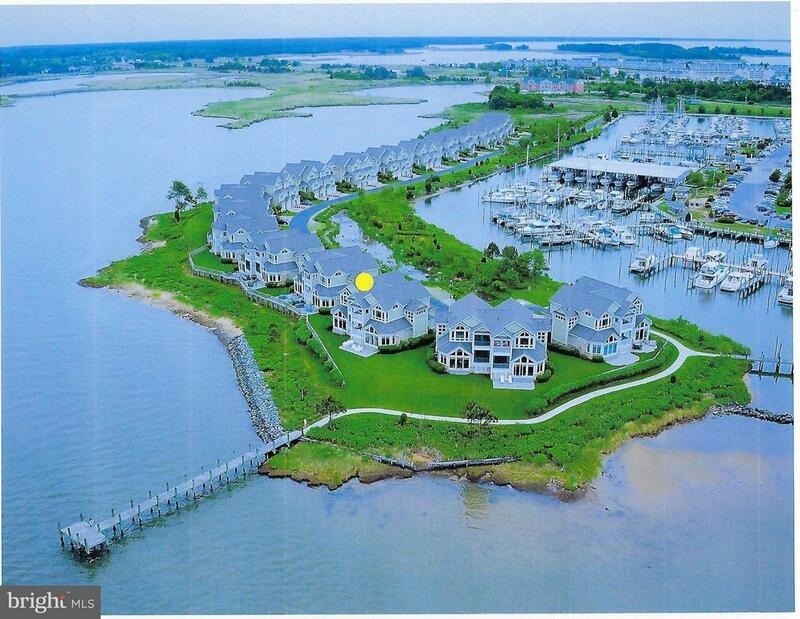 Narrows Pointe is a private Gated Community of only 38 homes on a peninsula on the Kent Narrows & Chester River. Great location being around the corner from many water front restaurants, Marinas, Fitness Center, Pool! 5 min from Golf and Outlet Shopping. Only 20 min to Annapolis & Easton, 50 min to Wash DC & Baltimore. You will love this home!" 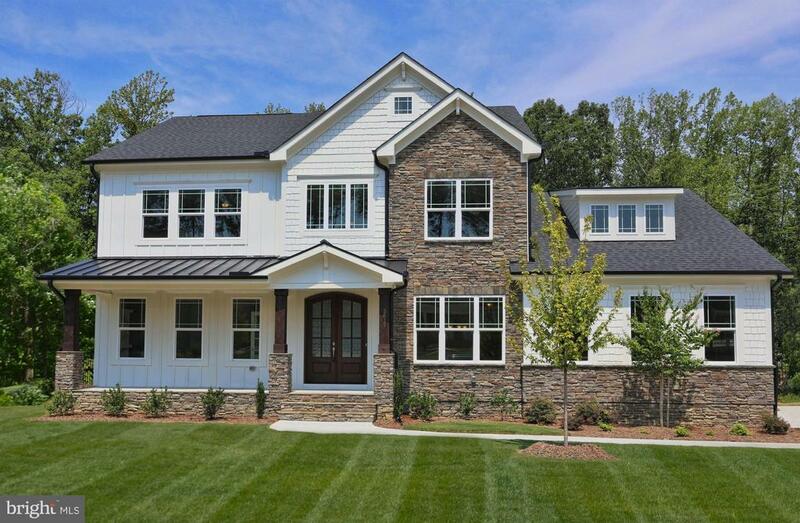 "Gorgeous home - over 3,000 finished square ft! All bedrooms have their own bath and walk in closet! Walls of windows to maximize the water view and let the sunshine in! Just 6 miles east of the Bay Bridge, Narrows Pointe is an exclusive gated waterfront community consisting of a small enclave of semi-detached homes on popular Kent Narrows - where you can dine at a variety of restaurants, relax at waterfront dock bars or dance at various live music venues! With a completely maintenance free exterior, you'll have plenty of time to enjoy all life has to offer here! There's a Marina right next door with memberships available to swim in the pool or take advantage of the gym if you'd like! Become mesmerized by breathtaking sunrises over the Chester River from one of your private balconies! Unique refinished ebony maple floors and tasteful paint makes this home ready for you to move right in and start enjoying the island lifestyle! Home features dramatic floor to ceiling stone fireplace, 7 ceiling fans, upgraded lighting fixture, new energy star dryer and water heater, Kitchen Aid appliances, service bar in kitchen, pull down stairs to floored attic space and a conditioned crawl space for storage plus full size laundry rm! Community has 3 docks for water activities as well! Access to over 30 miles of walk/jog/bike trails nearby to get your exercise, go bird watching and explore the outdoors in this nature rich paradise you can call home!" "Come experience the panoramic golf course views of the beautiful Prospect Bay home. With over 3000 square feet of living space this home has it all ~ 9 ft. ceilings, crown molding, hardwood floors, gas fire place, central vacuum system and the list goes on. 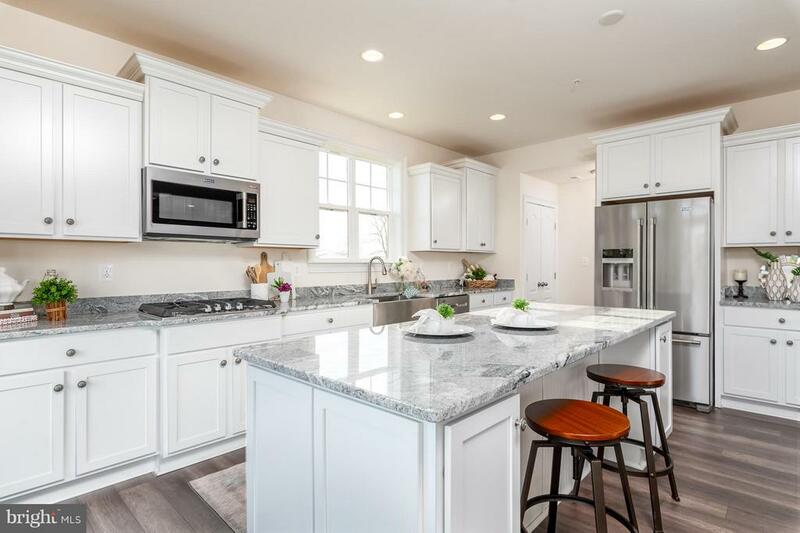 You~ll the love the gourmet kitchen with granite countertops, large center island, stainless steel GE profile convection oven, and six burner Dacor stainless steel gas cooktop. The first-floor master suite has a super bath with Ultra Massage tub, custom tile and duel head shower. The home office is wired for performance. The sunroom has cathedral ceilings and is surround by Anderson windows accentuating that stunning golf course view. You~re just a short walk to the community beach and marina. Community amenities also includes golf, pool, tennis, boat ramp, club house & restaurant." "Spacious and beautiful 3140 sq ft WATERFRONT LISTING! 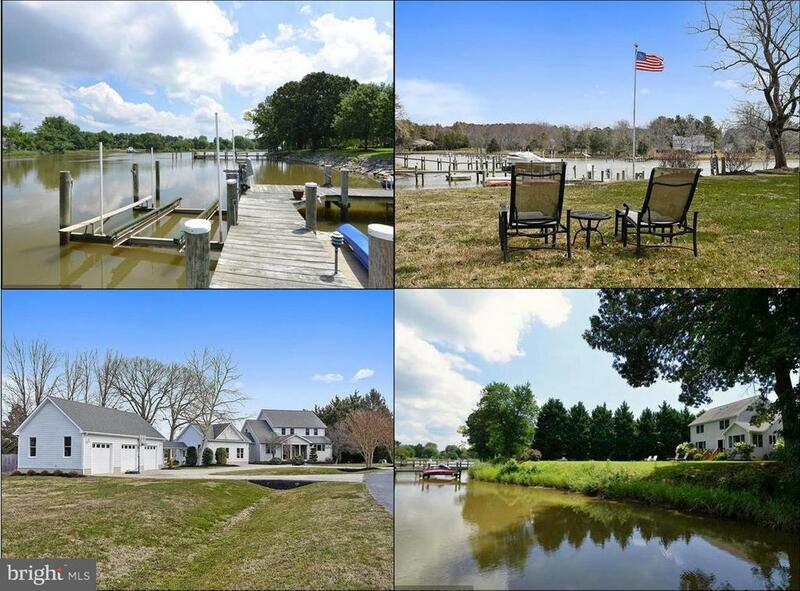 Fabulous home w/ private dock and lift in protected creek w/ views of Chester River as well! Home was remodeled & tastefully added onto. It has 3 bedrooms, 2 full baths and 2 half baths. All bedrooms overlook the WATER! The Master has vaulted ceilings & plenty of organized closet space. The master bath has marble tiled floor, double sinks with marble counter tops, a therapeutic tub and separate marble tiled shower. Plenty of natural light! 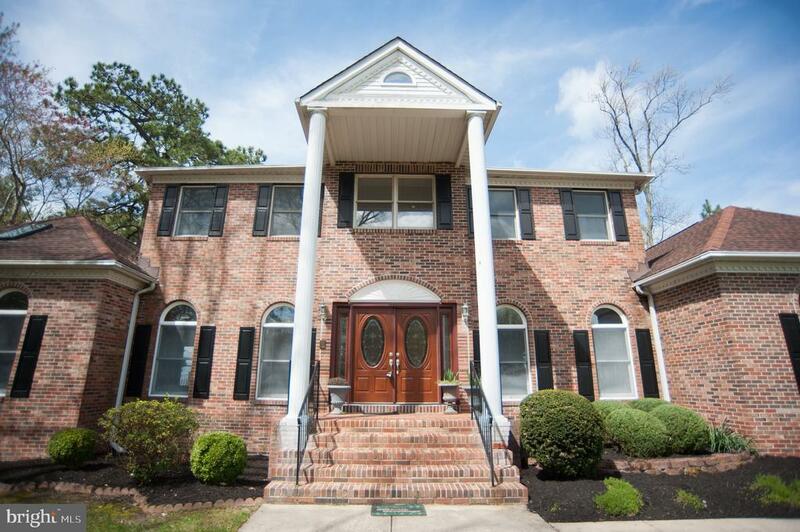 Hardwood floors throughout, spacious rms, high ceilings, walk in organizational closets. It has an oversized 2 car garage with room for a work shop, new furnace & a/c unit, roof is only 3 yrs old, new ext paint + so much more! It also has a separate office and a huge recreation room with a gas fireplace and wet bar with wine cooler . Beautifully landscaped front & back yard for entertaining! A large deck and a patio that has a hot tub that will convey. Grow organic veggies in your fenced in raised garden area.This is a must see !" "Private country cape set on 2.36 acres of serene waterfront property that offers 5 large BRs including a first floor master. Incredible waterviews from most of the rooms in the house. Open floor plan allows for wonderful entertaining space or sit on the back deck/wrap around porch & take in the wildlife.Short 45 minute drive from Baltimore or DC for a weekend getaway or live fulltime on vacation." "Welcome to Eastern Shore living ~ sweet corn, home grown tomatoes & steamed crabs! 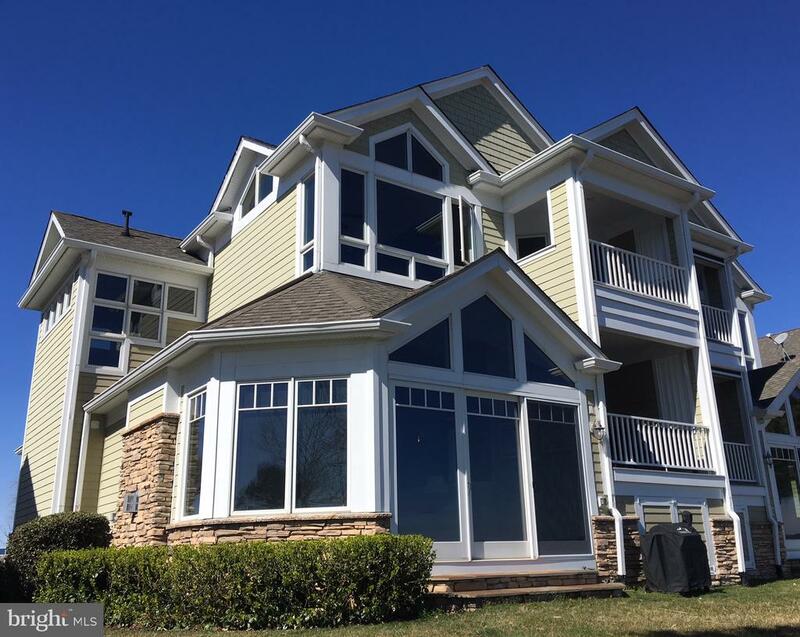 All of the conveniences of the Eastern Shore from Kent Narrows to Ocean City are a short walk or drive away. 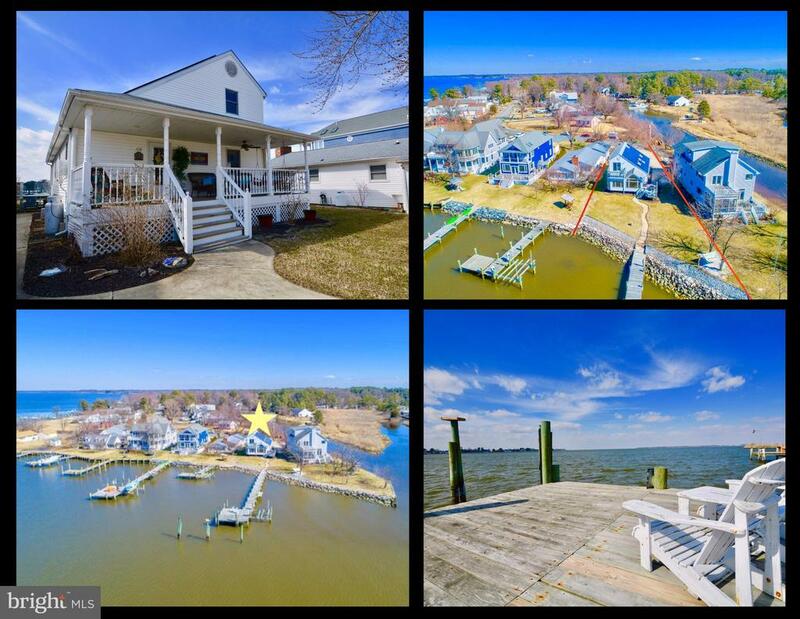 Boating, crabbing, fishing, walking/bike trails and one of a kind restaurants are all within minutes from this beautiful Brand New Construction home with water views of the Narrows & Chester River & home to some of the most amazing sunsets from your master bedroom deck! Out of town guests?..No problem! With dual master suites & a 3rd floor Loft/Guest suite complete with another full bathroom & 2 more additional bedrooms this home can surely suit your needs! The wide open 1st floor plan is perfect for entertaining complete with a chef's kitchen and huge center island flowing to the family room with gas fireplace focal point and sit down dining area. Check out the 3D Virtual tour to view every detail of this home and then hurry in before this one slips away! Priced below tax assessed value!" "Craving Summer? Island Living at its Finest! Nearly 2000 sq ft Updated Home on Jackson Creek- 100' of Shoreline! STUNNING, Expansive Views! 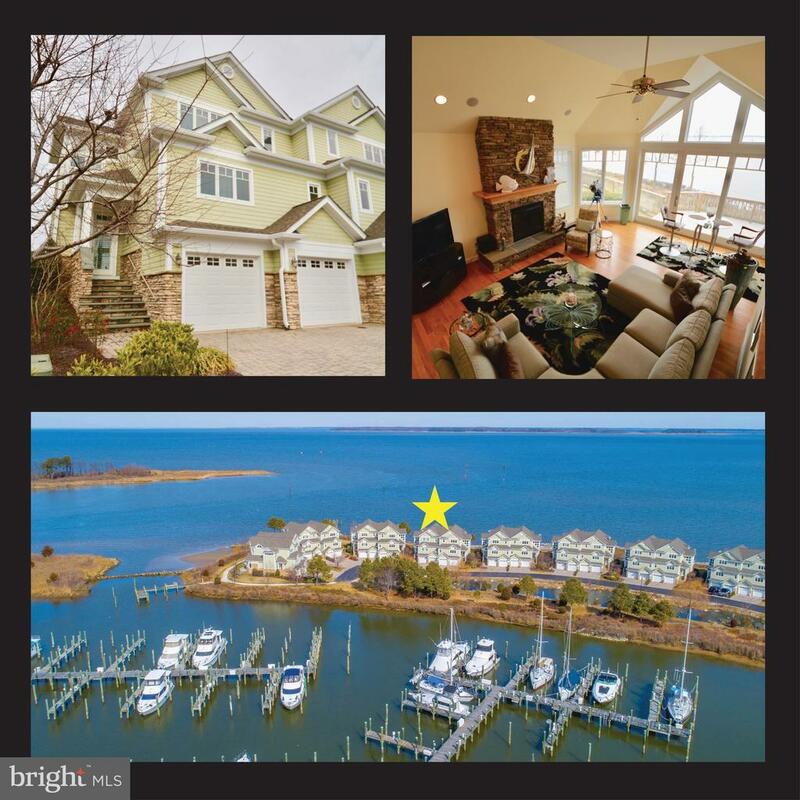 Private Pier & Boat Lift,Breathtaking Sunsets, Open Floor-Plan, Updated Kitchen & Baths, 3 Bedrooms, 2 Full Baths, Large Waterfront Balcony off Master Bedroom offers a private sanctuary to relax! 10 mins from Bay Bridge... Price to SELL- Hurry to this one!"